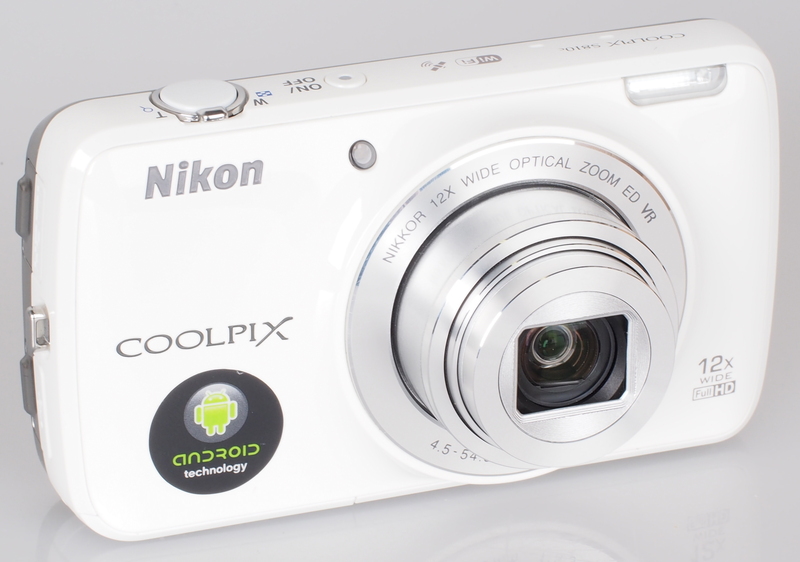 We test the Nikon Coolpix S810c, a compact camera that runs Android v4. A noticeable update to the original S800c, the camera now features a 12x optical zoom lens (compared to 10x on the S800c), a larger 3.7inch screen, increased built in memory of 4GB (vs 2GB), and most importantly, an updated version of Android, now running v4.2.2, compared to the rather old v2.3 on the S800c. The camera also features an improved macro mode, letting you focus on subjects that are 2cm away from the front of the lens. An added feature is called Timeline view: in playback mode, you can see all the photos that have comments attached as a chronological timeline on your display, just like in a blog or social media site. Android means you can download apps from Google Play, taking advantage of photo apps, social media apps and games such as Clash of Clans. You can also browse the web and check your email when connected to a Wi-Fi network. 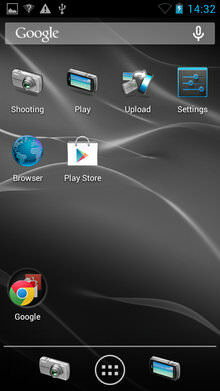 4GB of memory is built in for apps and photos, and the memory can be upgraded using a MicroSD card. 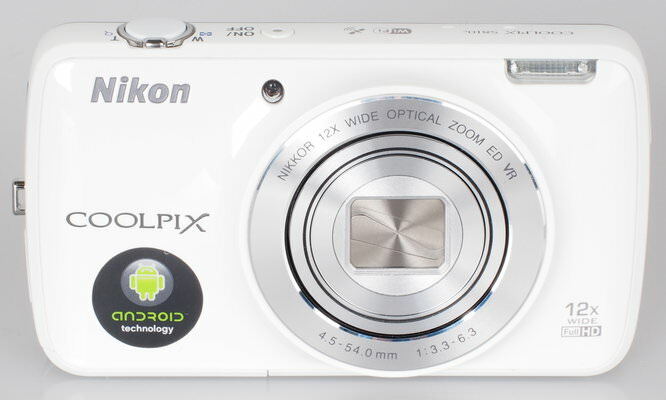 The camera isn't as slim as Nikon's other compact zoom cameras such as the S6800, but it is still pocketable. 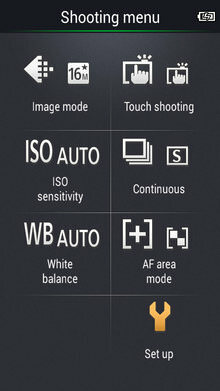 For anyone used to a modern touch screen mobile, particularly the Android operating system, the camera will be extremely intuitive to use. 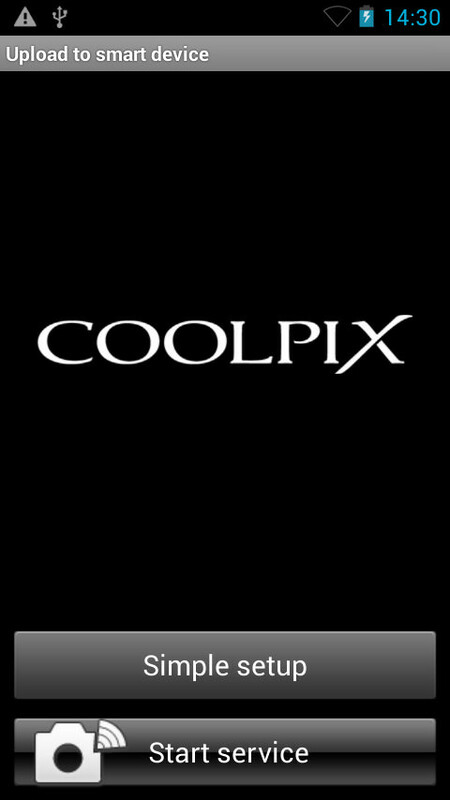 There is an iOS (Connect to S810c) and Android app which allows you to send pictures to your smartphone or tablet when you don't have Wi-Fi available. 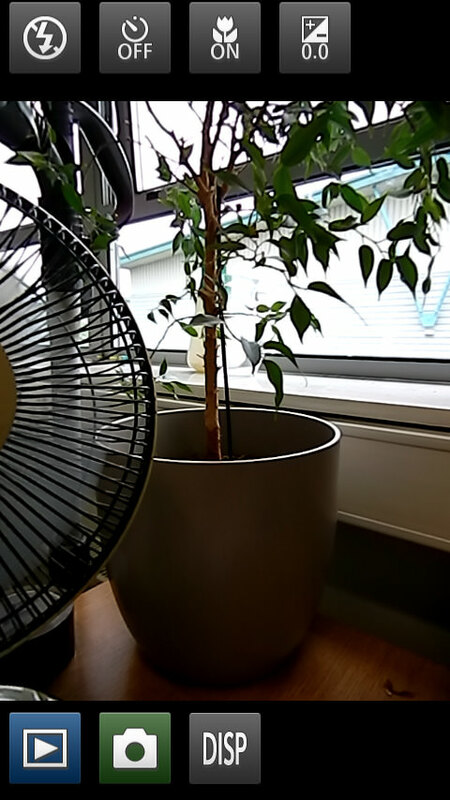 The camera creates a Wi-Fi network, which your device connects to. You follow the instructions on both screens, then you can see your picture on the device. They can then be downloaded, even at full resolution. 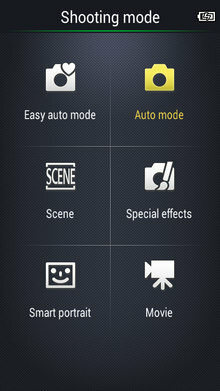 Press the power button quickly to switch the camera on and off. Hold the button when on, and you can see additional options including quick power off, stand by, reboot and screenshot. The body is solid and made from plastic, but there are no rubberised areas to help grip. The 3.7 inch OLED touch screen fills the rear of the camera, it looks very modern and there are very few buttons. 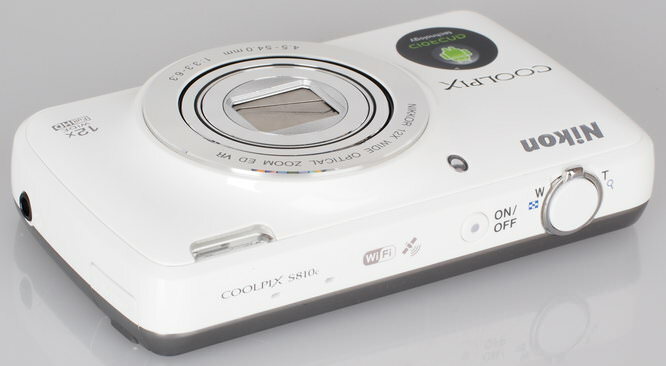 There are menu, return and home buttons on the back, with on/off switch, shutter release and zoom rocker on the top. 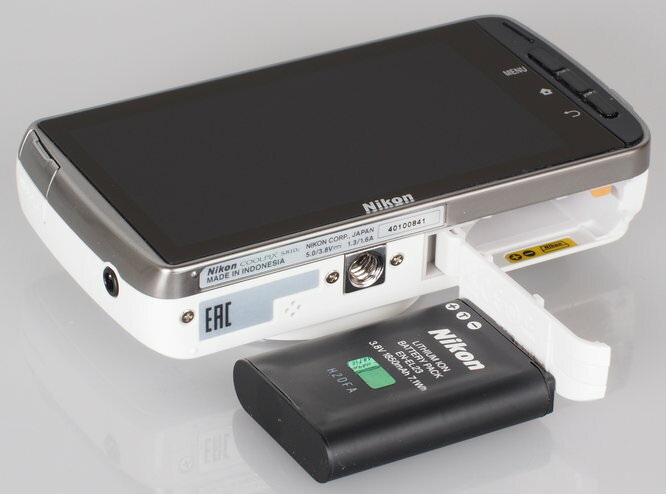 Battery life - Battery life is rated at 270 shots according to Nikon / CIPA test results, which is average for a compact camera, although with a 1850mAh rated battery, this is an improvement over the previous model, and should give improved battery life when using Android. 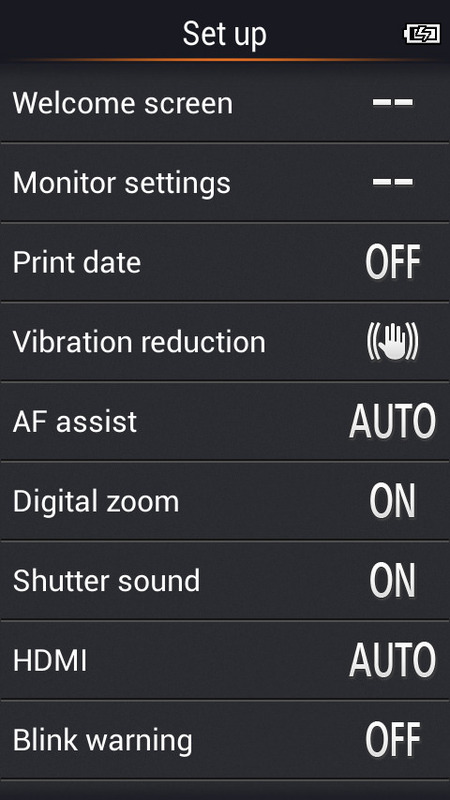 Shutter response, focus and continuous shooting are all very quick, although the switch on time is a little slow. 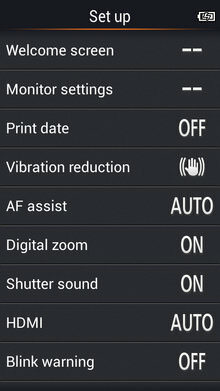 As the camera is running Android, the camera is in standby when you press the power button, unless you specifically shut it down - if you do, then it will take much longer before you can access the Android part of the camera, but you can still take photos. Sample Photos - The camera has reliable exposure and produces images with bright saturated colours that will look great when sharing on social websites such as Facebook. Portraits taken with flash have no red-eye, and skin tones are good. Lens Performance - The camera produces images with good levels of detail in the centre although corners are soft when shooting wide-angle. 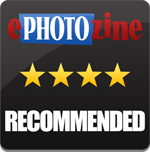 There is also noticeable vignetting when shooting at some zoom settings. The camera gives very good macro performance letting you get close to your subject. Dynamic range can be improved using the D-Lighting option, or alternatively shooting using the HDR mode. ISO Noise Performance - For the lowest noise and best detail possible we would recommend using ISO125 to ISO200, as images have low levels of noise and good levels of detail. For lower light situations ISO400 to ISO800 still provides good results, although noise increases and detail is reduced. At ISO1600 noise levels become strong and we would recommend avoiding this setting if possible, although results may still be useful if resized and used on the web. ISO3200 is best avoided as noise is high, and detail is low. White Balance Performance - Auto White Balance (AWB) performs well under tungsten lighting, with the tungsten preset giving an accurate result. AWB performs well under fluorescent lights, with the fluorescent preset giving a very slight magenta colour cast. 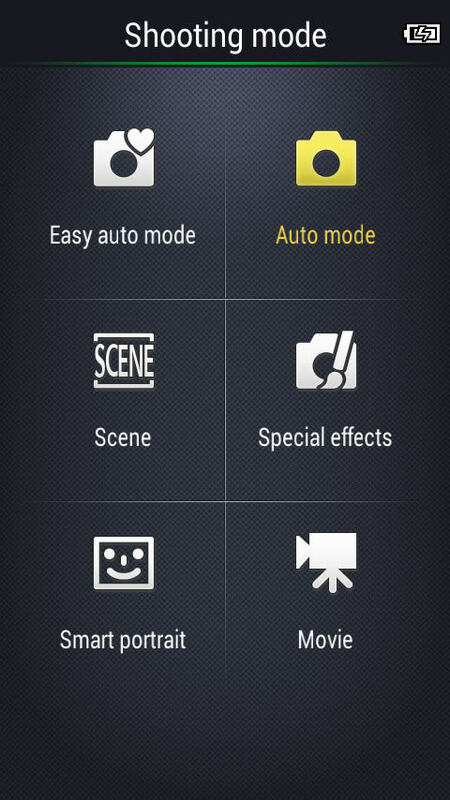 Panorama mode - The camera features an automatic panoramic mode, where you simply press the shutter release button and pan the camera from one side to the other. Results are good, and well stitched together, although a low resolution image is produced. 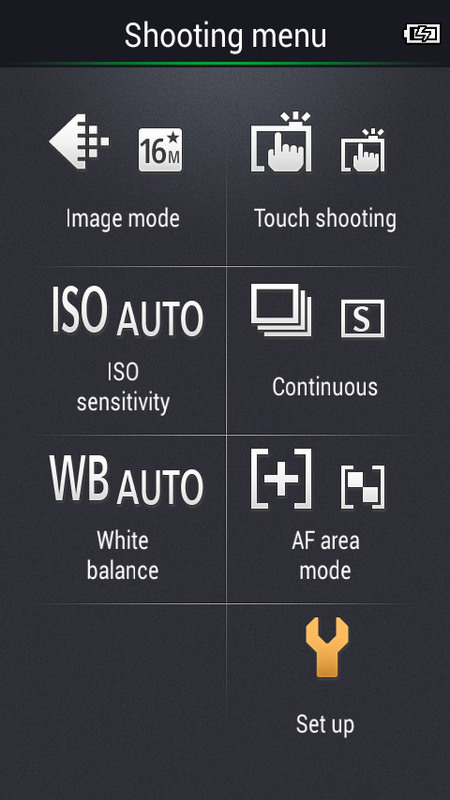 Digital Filters - There are a number effects available when shooting, and a number of these effects can be applied in playback, as well as D-Lighting to brighten dark images, correct red-eye and quick fix. Video - Quality is good and the camera records full HD video with stereo sound and optical zoom is available. Image stabilisation does a reasonably good job of keeping the video steady. For those that want an Android camera, the Nikon Coolpix S810c is an improved version of the S800c, and is also more compact than the Samsung Galaxy Camera. The camera fits neatly into your pocket, and delivers bright colourful images that can easily be shared to your favourite social media sites, using the large and bright 3.7inch touchscreen. 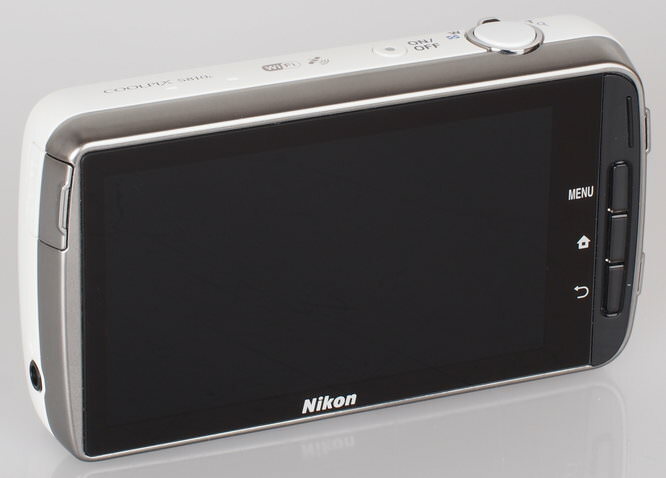 However, for those that can't stretch their budget to the S810c, Nikon also offer the Nikon Coolpix S6800, which can transfer images directly to your smartphone over Wi-Fi. 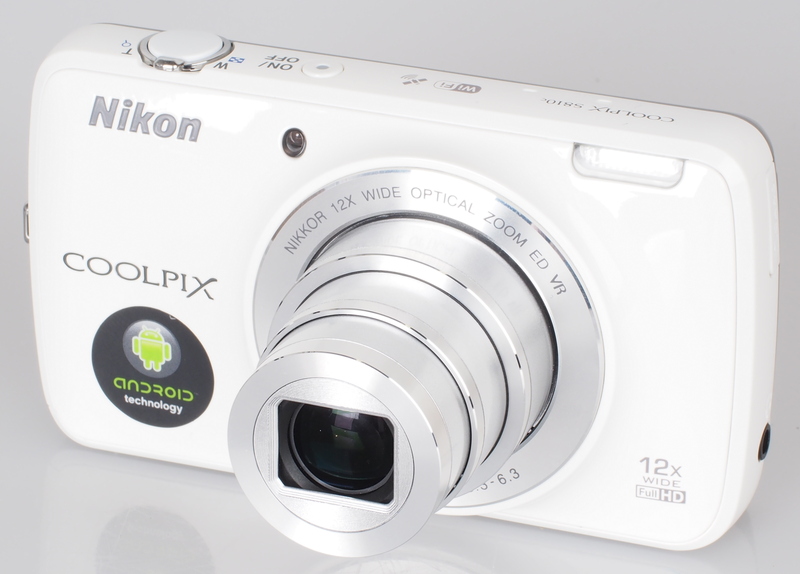 The Nikon Coolpix S810c is a stylish camera running Android with a great screen and bright colourful photos.